Lennox-Gastaut syndrome (LGS) is a complex, rare, and severe type of epilepsy. While doctors don't yet know everything about this condition, they do know a lot—and you can, too. Here are some facts about LGS. Living with LGS is challenging, and everyone's journey will be different. By learning all you can, understanding what to expect, and working with your healthcare team, there's a lot you can do to provide the best care for your loved one.  Use the information you're reading to help you discuss LGS at your next doctor visit. A diagnosis of LGS is based on more than just seizures, although having different types of seizures is an important part of the diagnosis. There are 3 signs that your loved one may have LGS. People with LGS may experience many different types of seizures. Watch these helpful videos to learn more. During an atonic seizure, muscles go limp. During atypical absence seizures, a person may stare blankly, appear to be daydreaming, and/or may not respond to what's going on around him or her. During a myoclonic seizure, a person's muscles may quickly alternate between stiffening and relaxing, which makes it look like he or she is twitching. Tonic seizures are the most common seizure type in people with LGS. They cause muscles in the arms or legs to stiffen. This type of seizure can happen when asleep or awake. Losing consciousness is possible. This is the "classic" seizure. It has 2 successive phases—a tonic phase, where a person's muscles stiffen, followed by a clonic phase, where a person's muscles spasm and jerk. Losing consciousness is possible. In addition to different types of seizures, the diagnosis of LGS is based on whether a person shows signs of developmental delays and cognitive impairment. 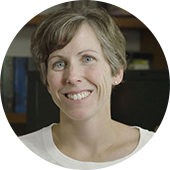 Developmental delays appear in nearly all patients with LGS. 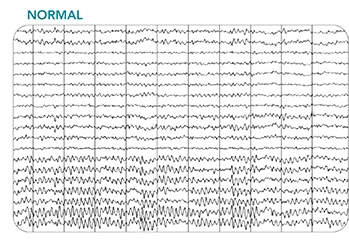 An electroencephalogram (EEG) is a snapshot of the brain’s electrical activity, shown in waves. The shape of the waves changes based on the activity of the brain when the EEG is taken. Normal brain activity shows a constant flow of very small and consistent waves, with spikes that are sharp and fast. 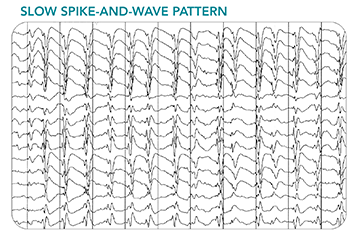 An EEG in children with LGS usually shows a specific pattern of activity, called a slow spike-and-wave pattern. The dips and waves are much slower than normal, and they repeat at a slower frequency than those in a normal EEG. A slow spike-and-wave pattern EEG changes in adults with LGS. An EEG is a snapshot of the brain's "electrical" activity, but instead of taking a photo of the brain, the EEG records a series of waves. The shape of the waves changes based on the activity of the brain when the EEG is taken. Unlike normal brain activity that produces a constant flow of very small and consistent waves, spikes are sharp and fast. The dips and waves are much slower than normal waves and repeat at a slower frequency than a normal EEG. Understanding what’s going on and what Jake’s going through—and taking time to understand the details—has made us feel more comfortable.